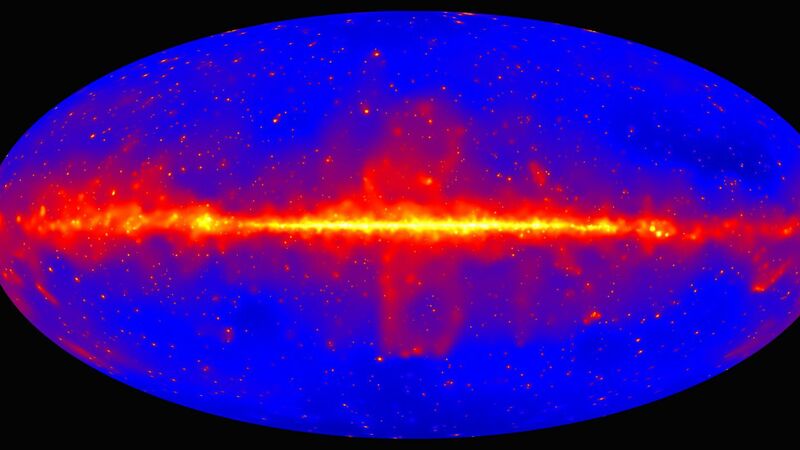 Clemson University scientists, relying on images from the NASA's Fermi Gamma-ray Space Telescope, claim for the first time that they have measured all the starlight ever created in the history of the observable universe. By the numbers: According to the new data published on Friday in the journal Science the number of photons emitted by the stars – visible light particles – is four times greater than 10 up to the 84th power. In other words, the researchers collected 4,000,000,000,000,000,000,000,000,000,000,000,000,000,000,000,000,000,000,000,000 photons. Why It Matters: The new study provides an insight into the history of star formation over 13.7 billion years. In particular, the research helps to measure the extragalactic background light, which contains information about the history of the stars dating back to the early history of the universe. This is a scientific breakthrough, as previous attempts have been hampered by the powerlessness of distant galaxies and the inability of telescopes to detect such faint light. As you get a better sense of the history of star formation, you can learn about future missions that will take a look at the early history of our universe, such as the James Webb Space Telescope, which is currently scheduled for 2021. [19659006TheBigPicture: According to a press release attached to the new study, the number of photons is extremely large, while most of the visible light reaching the earth is weak in view of the size of the universe. Much of the visible light, the release states, is "a 60-watt bulb that is viewed from a distance of about 2.5 miles in complete darkness." What Next: "The first billion years of the history of our Universe is a very interesting epoch that has not yet been investigated by the present satellites," said Ajello. "Our measurement allows us to take a look at it. Maybe someday we will find a way to look back to the big bang. This is our ultimate goal.